OUT OF THE OFFICE: This wedding has taken over my life! We will be back with amazing posts after our honeymoon. I can’t wait to share all of the amazing details with all of you! 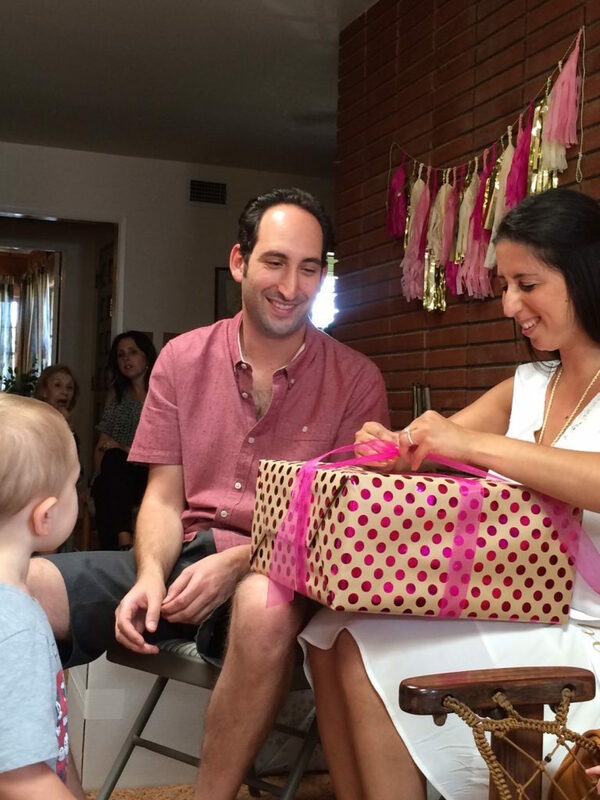 As I mentioned in Friday’s Get Inspired post, I am a very lucky girl! 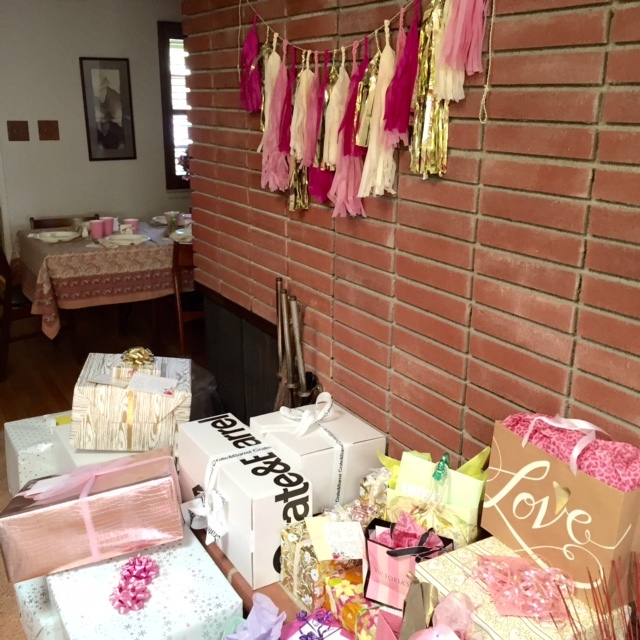 I have had not one … but two sets of family get together and throw me the most beautiful showers imaginable. Last weekend, it was my family’s turn. 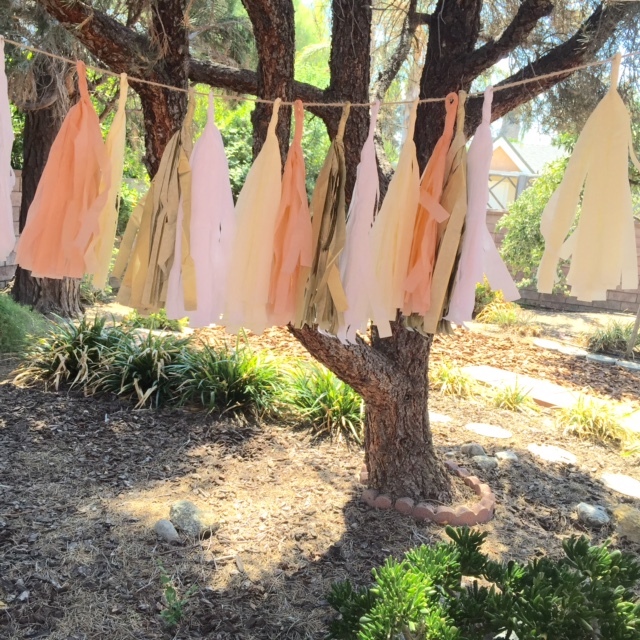 Two aunts, my grandma, and a very close family friend designed a party that they knew I would love and I could not be happier with how it turned out. 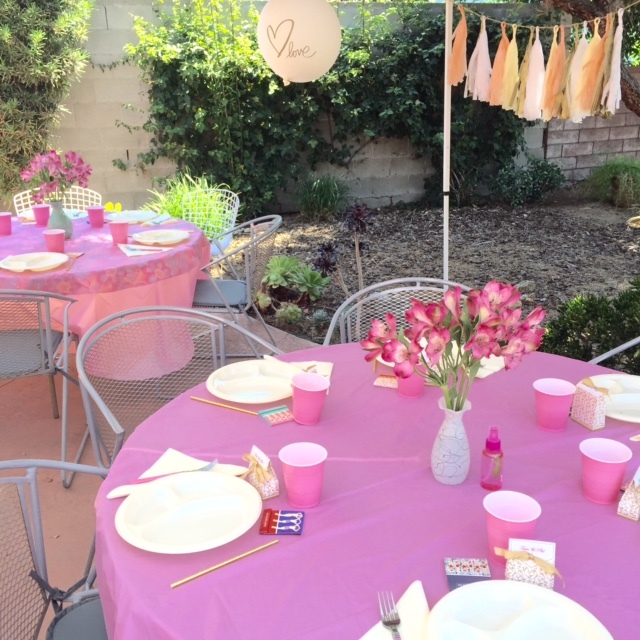 It had an overall boho feel and was inspired by my childhood color, pink! 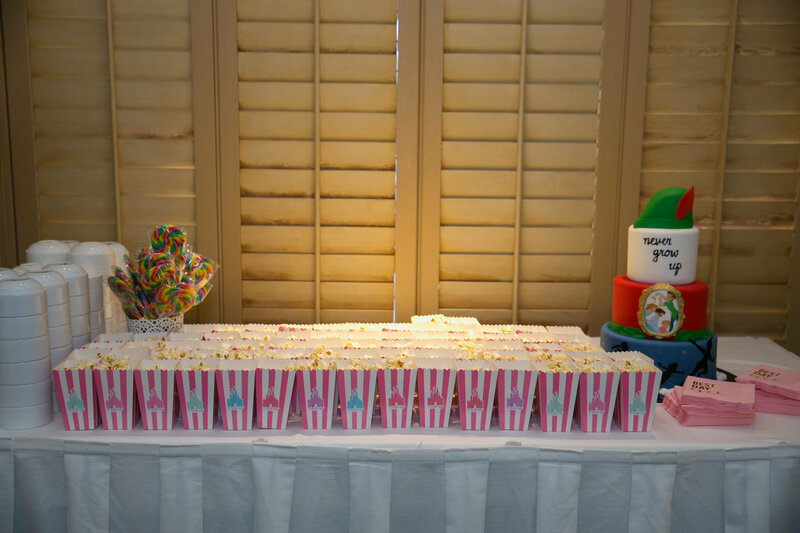 As you can tell, the party hostesses put a lot of thought and effort into every detail from the tassel garlands to all of the pink accessories on the tables. 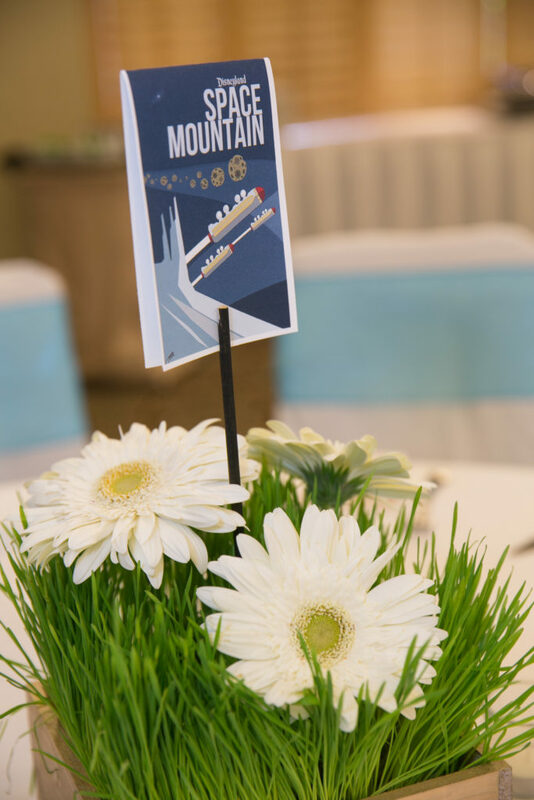 Simple flower arrangements, take home favors with “Kisses” inside, and adorable pink matchbooks with mini emery boards attached were found on every table. 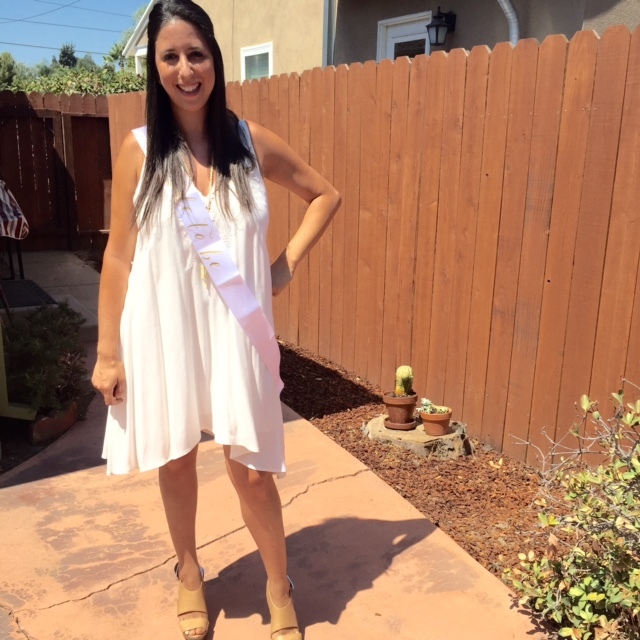 They even greeted me at the door with a “Bride to Be” sash to wear. 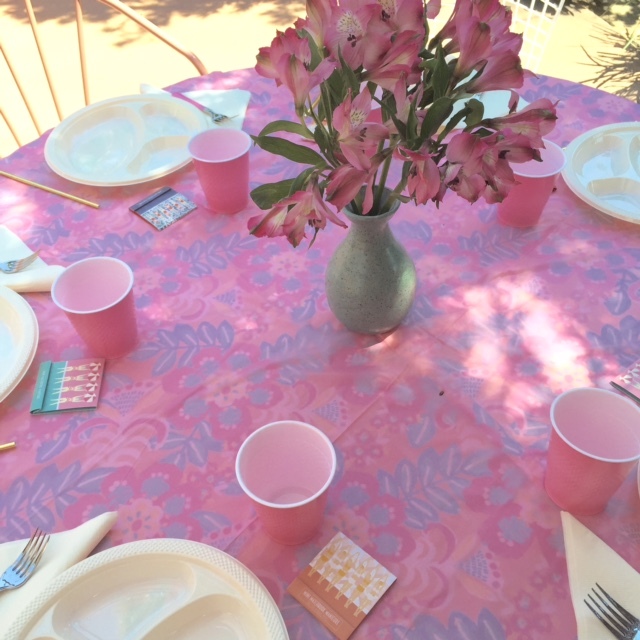 This at-home setting made it super informal and easy to spend time with those I love most. 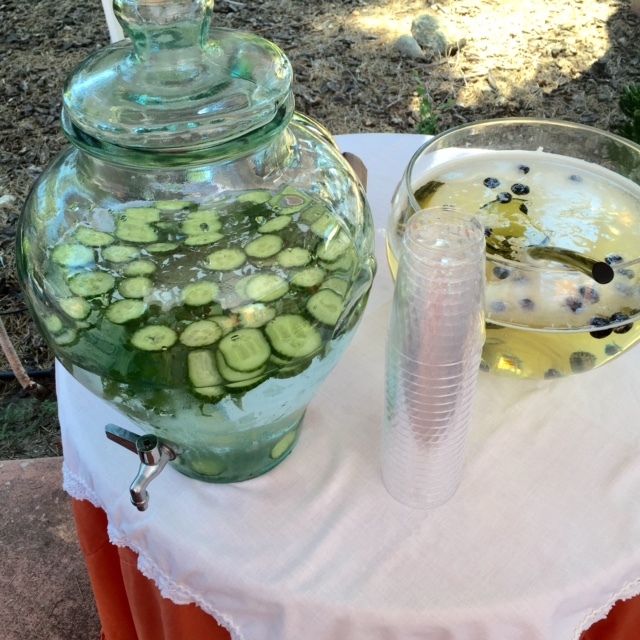 Delicious infused water and champagne punch were a refreshing pairing to our meal. They hired my favorite taco cart to cater this event … to say I was excited is an understatement! 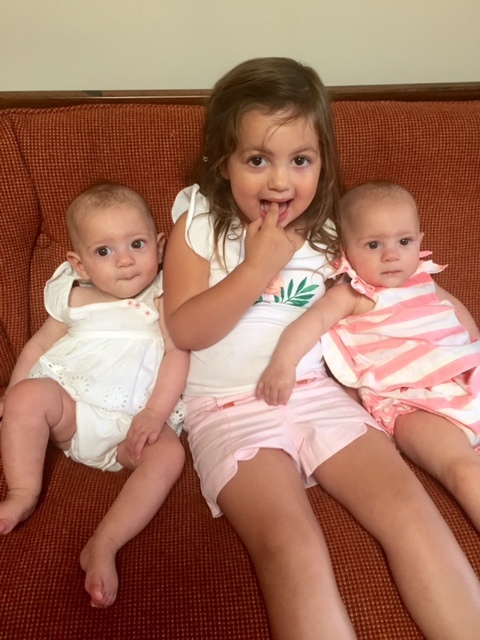 All three of my flower girls got comfy on the couch to watch their aunt and soon-to-be uncle open their presents. Phil and I loved every new addition to our home and it was only slightly embarrassing opening these “honeymoon gifts” in front of all my guests. 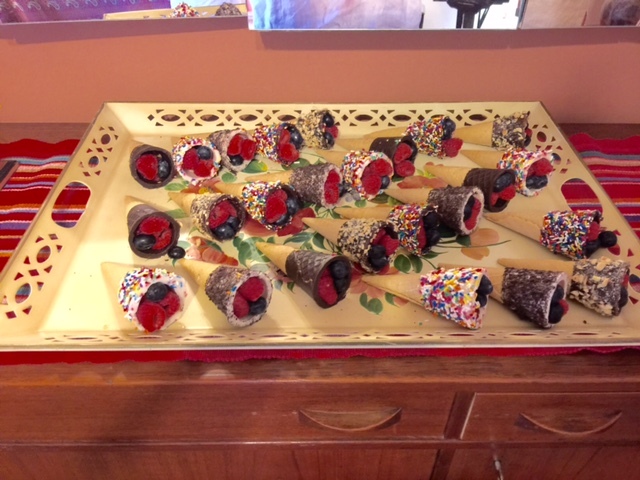 Perfect to the very last detail … how cute are these dessert fruit cones? 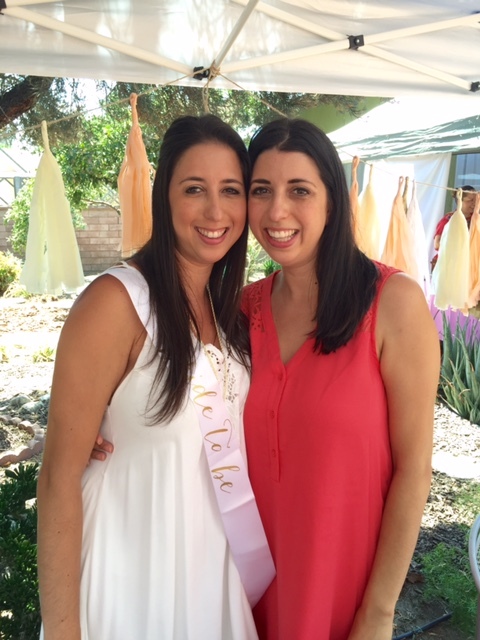 I am forever grateful to my aunts Harriet and Karen, my Grandma Johanna, and my dear friend Adi for throwing this beautiful shower in my honor! Thank you also to all of my friends and family who attended. 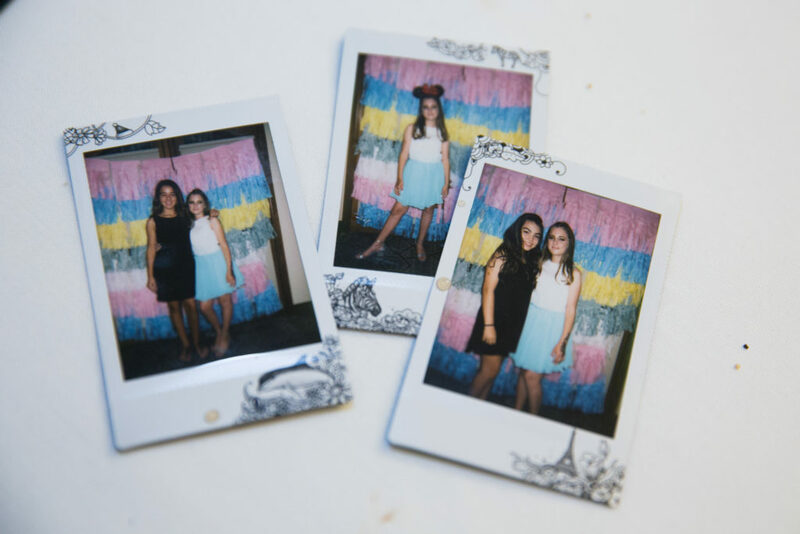 It was so great to see you and spend time with you before the big day! Only twelve more days to go and still so much to get done, but can’t wait for all of you to see the outcome! 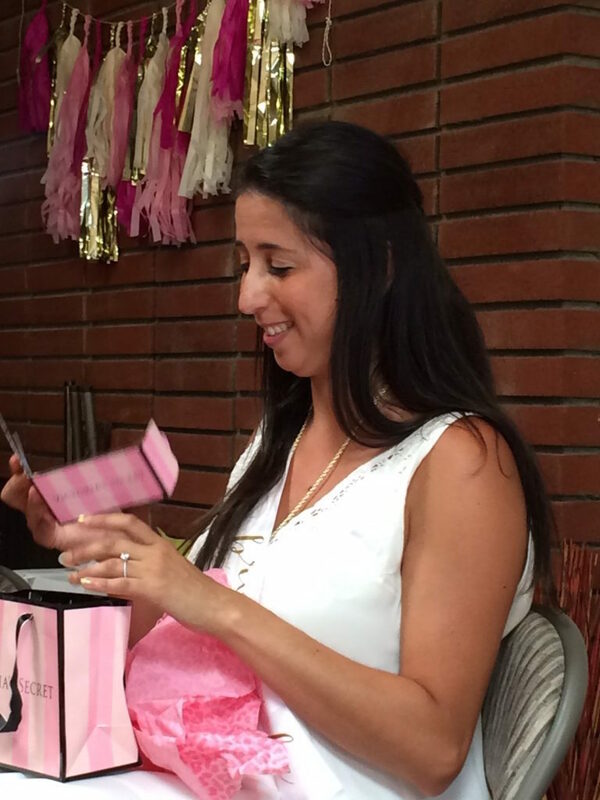 Tami’s inspired: I can’t believe wedding month is actually here! Over the past ten months (since we got engaged) there have been times when I feel we are rushed to make decisions, plan, and execute wedding details. There have also been a few short lived breaks where we take the time to breathe and rejoice in our engagement. We have partied with friends at our bachelor / bachelorette weekend getaways, we have received too many generous Crate and Barrel packages at our door, and we have been showered with love and more gifts by our friends and family not once, but twice. I am a lucky girl! With all this wedding hype on the blog, I am sure you are dying to finally see some of the planning go into action just as I am dying to finally see it all come together. So I have prepared a little peek for all of you. This inspiration photo is one from my main wedding inspiration board and will be what Kayla uses to create my Bridal bouquet. What’s my designer tip this month? Take time to enjoy the details! 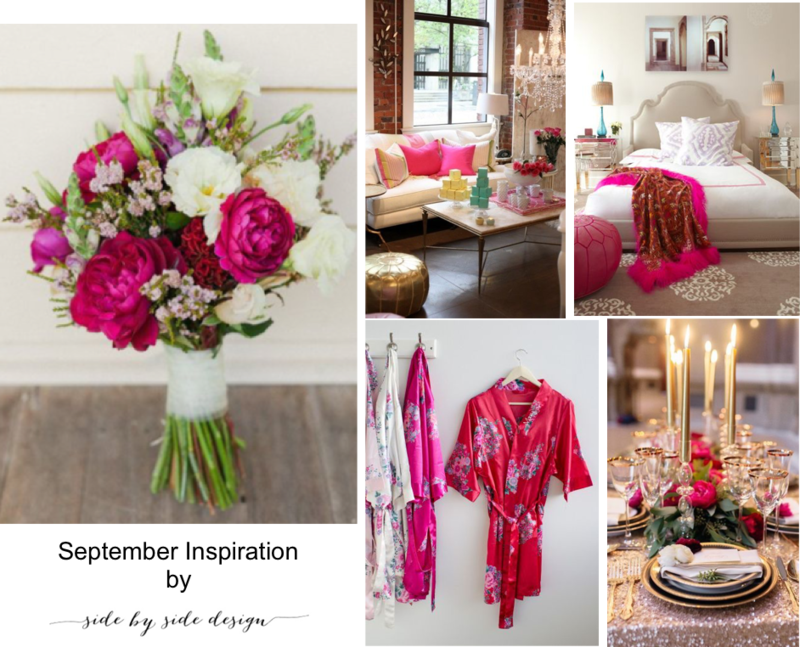 All of these photos have a lot going on in a really great way … Don’t just wear a silk robe, wear one with flowers. 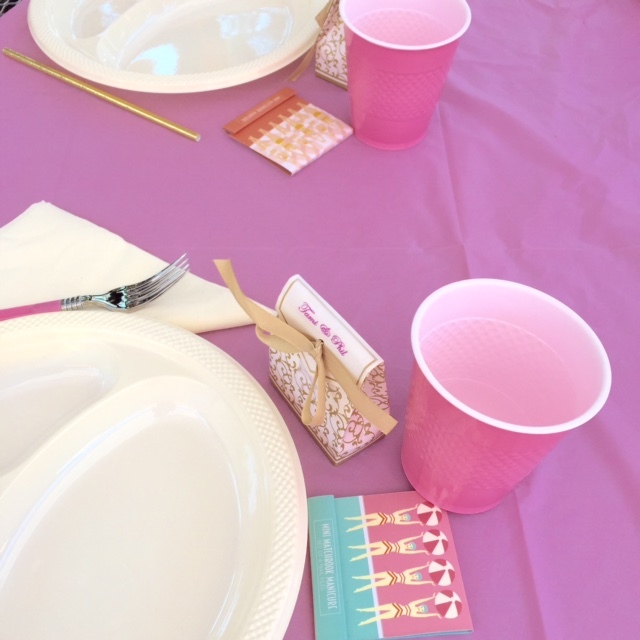 Set your event table with a gold sequin table cloth, lots of flowers and candles, and an over abundance of dishes. Go all out in your interior as well. Add color, metallics, and really luxurious throw blankets and pillows. Lauren’s inspired: This week has been a crazy one! 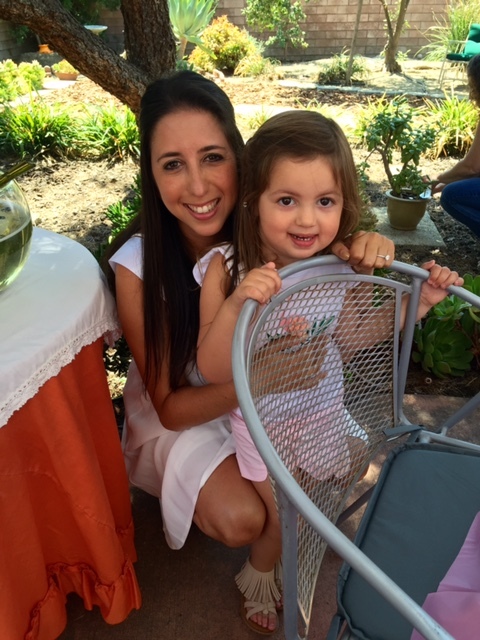 For those of you who don’t know, my six month old babies have been filming for a television show, my three year old daughter started her second year of preschool, and I am knee deep in last minute wedding plans with Tami. We weren’t too sure going into this week exactly what to expect of the outcome, but we made it through and I can already tell that the month of September is going to be a busy one but with lots of rewards and a most amazing wedding to attend. 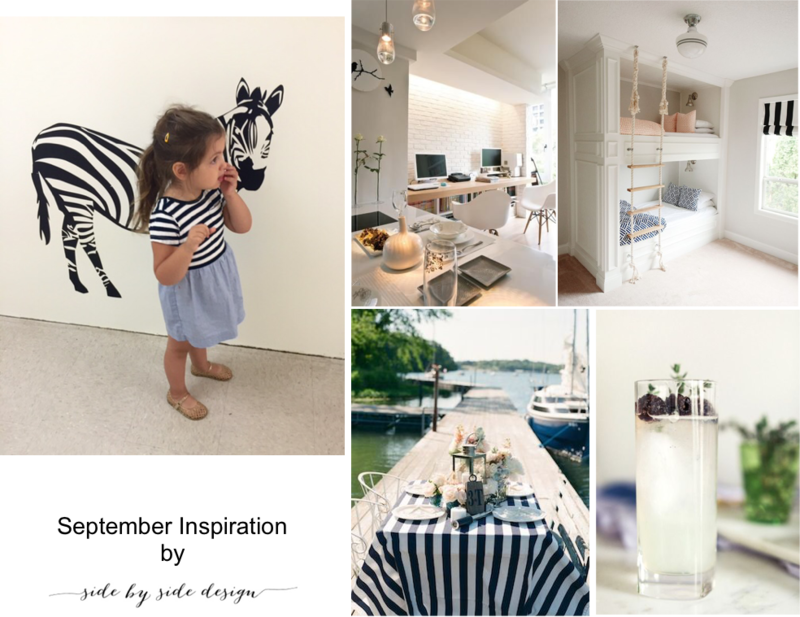 As for my inspiration photo, Ava is now in the zebra class and I can’t help but post a first day picture. Besides, everyone knows I love an excuse to use black and white. What’s my designer tip this month? A little animal print or stripes can go a long way! Add a fun patterned Roman shade to your room, a funky pillow, or go all out with a cow hide rug. You will be surprised at how it adds an edginess to your space. 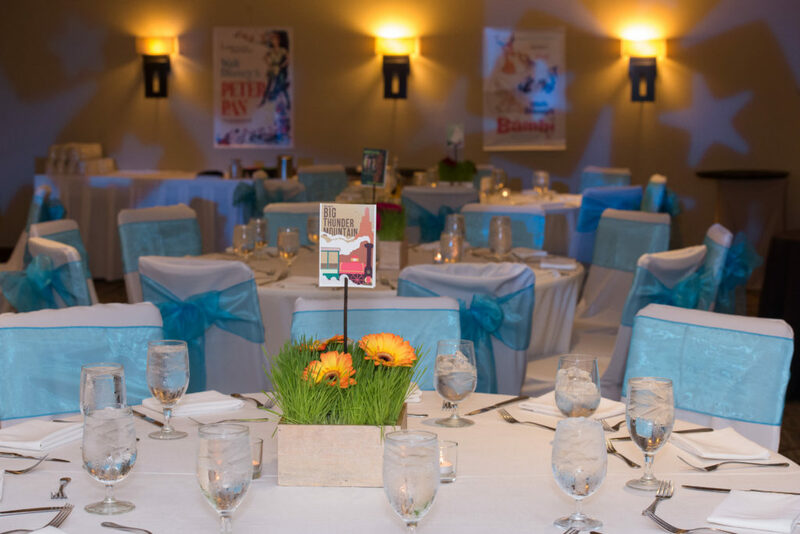 You can do the same with your event decor. No need to go just black or white when you can do both. 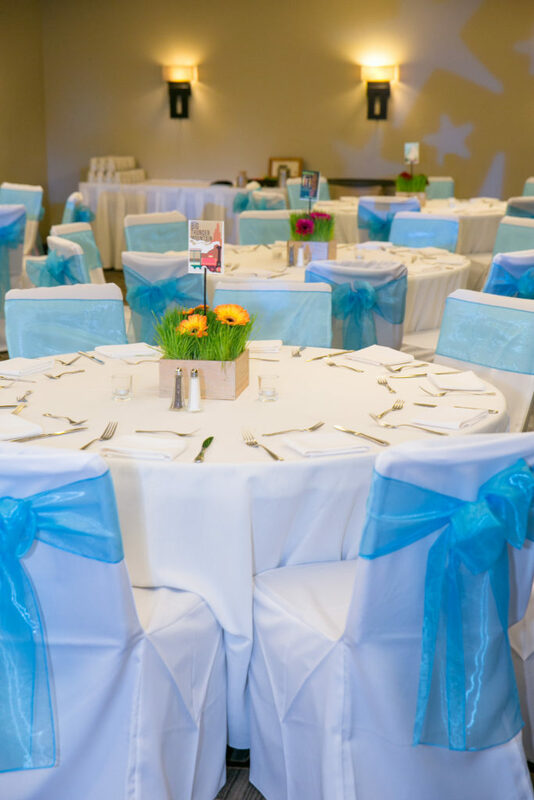 Here at Side by Side Design, we look forward to the busiest month yet as we will be participating in many wedding events including a Moroccan henna party, a rehearsal dinner, and a bridesmaid brunch! 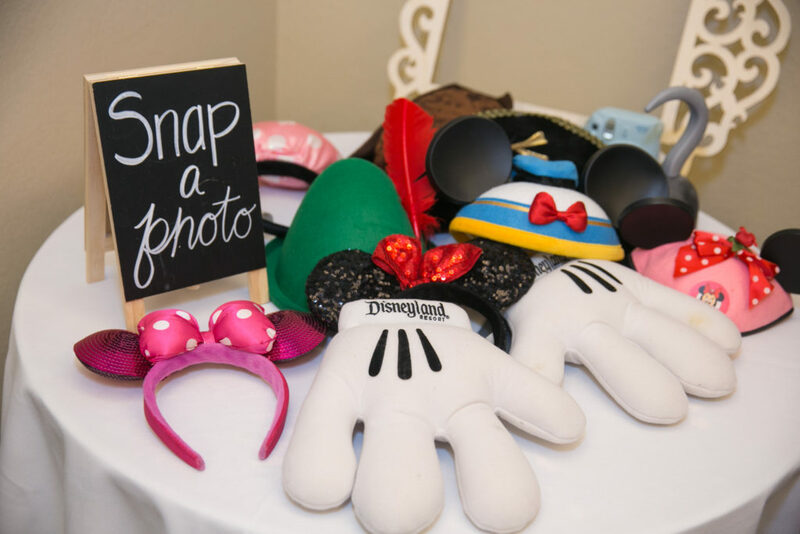 We will also be spotlighting some of Tami’s vendors for the work they have done leading up to this special day, a fun bathroom that we are finishing up, and lots of inspiration as usual. Don’t forget to check out our next Get Inspired post on October 7th for all new looks and inspiration! 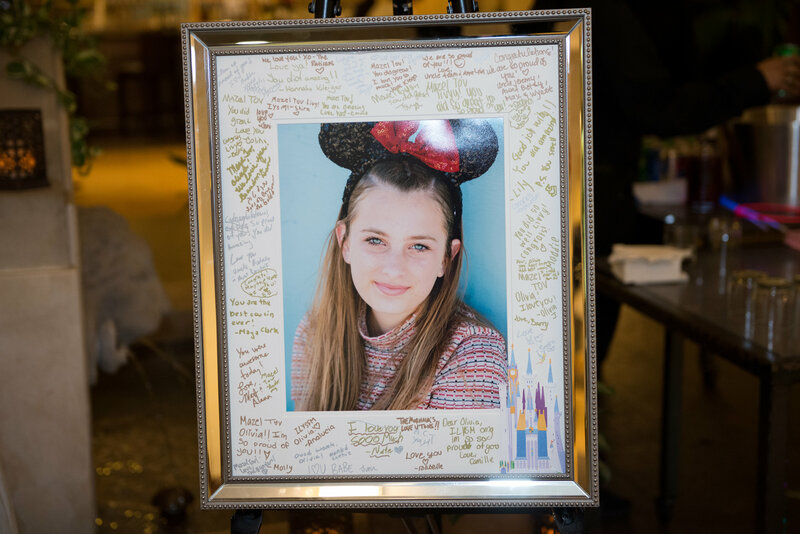 On Monday, we shared a truly special event that we were lucky to be a part of (as seen on our post, Vintage Disneyland Bat Mitzvah). 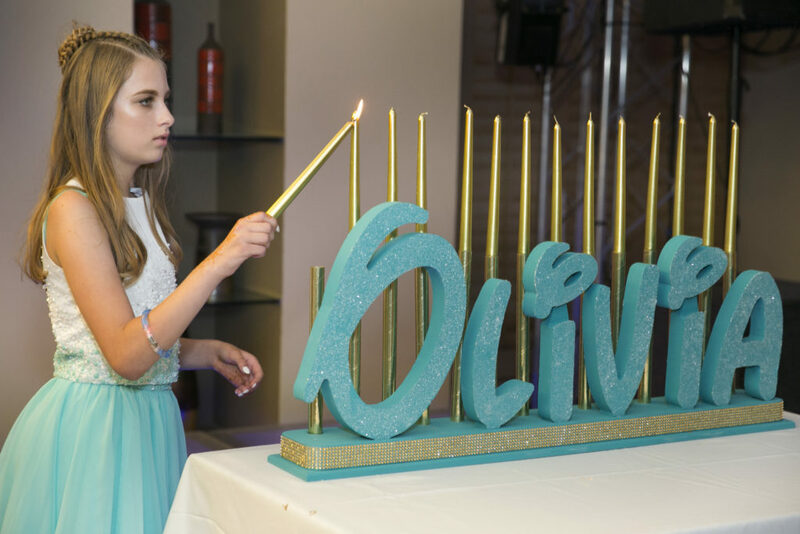 Today, we would like to get up close and personal with some of the details that made this Bat Mitzvah party different from the rest. Enjoy! 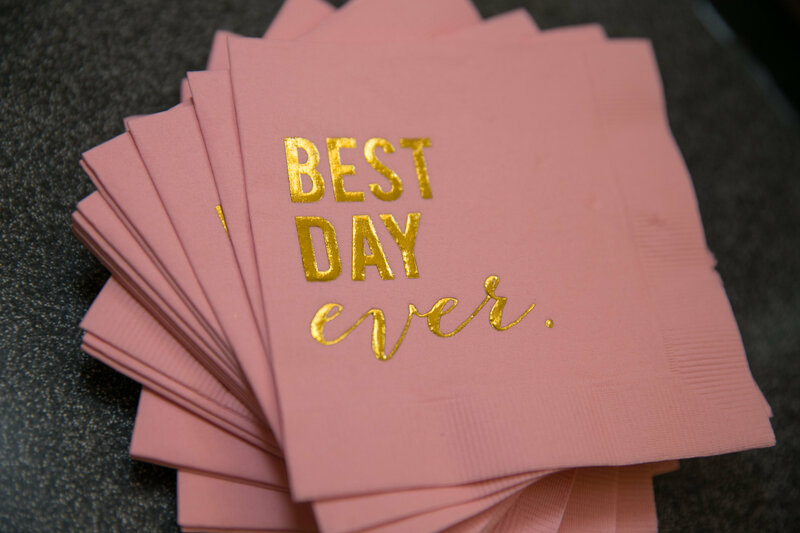 Pink and gold foil cocktail napkins for cocktail hour made this the “best day ever”. When attending and planning an event, we just can’t help ourselves … We always love to make the gift wrap match the event itself. 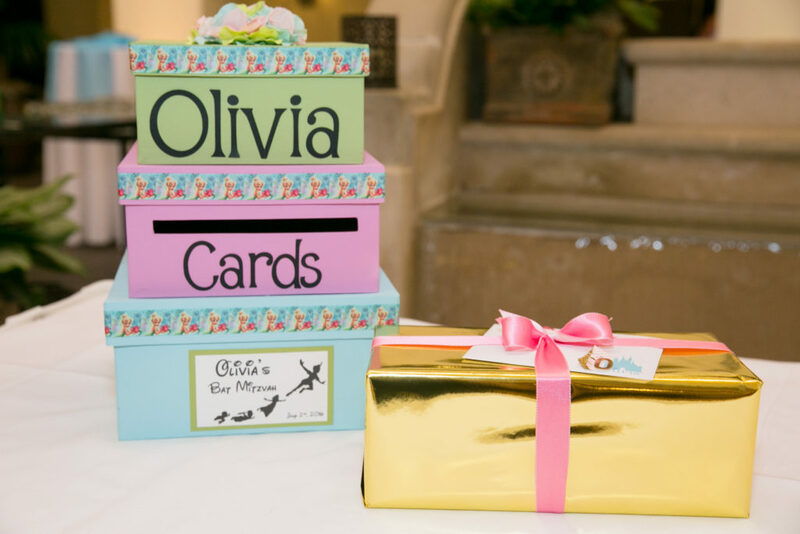 Also, isn’t this handmade card box adorable? Etsy is the best! 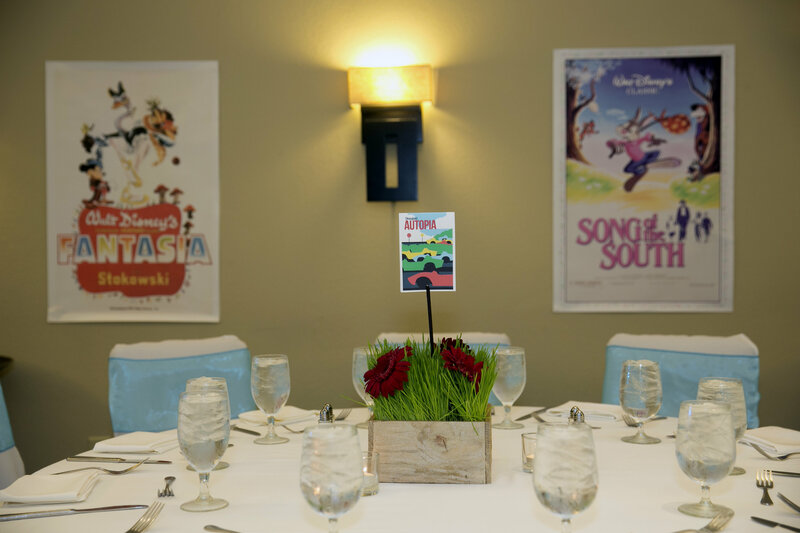 This welcome table included mini signs for all of Olivia’s favorite Disneyland rides. 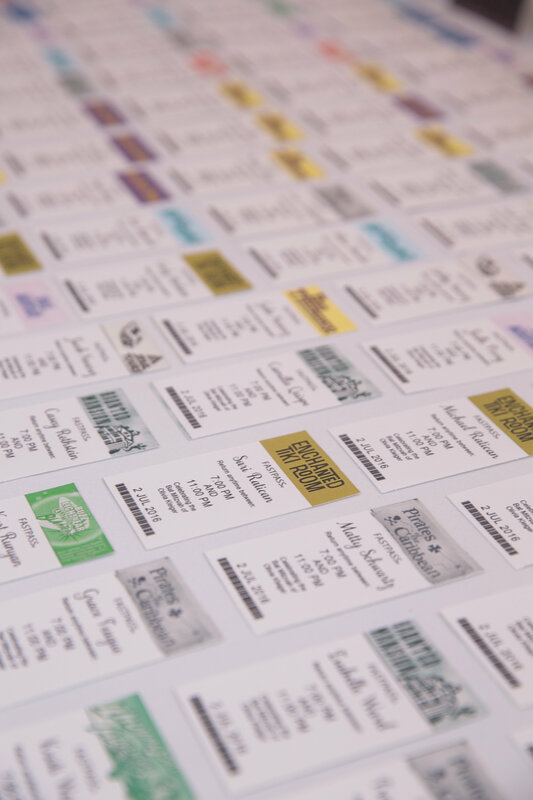 These Fast Pass seating cards (also purchased on Etsy) were a huge hit! 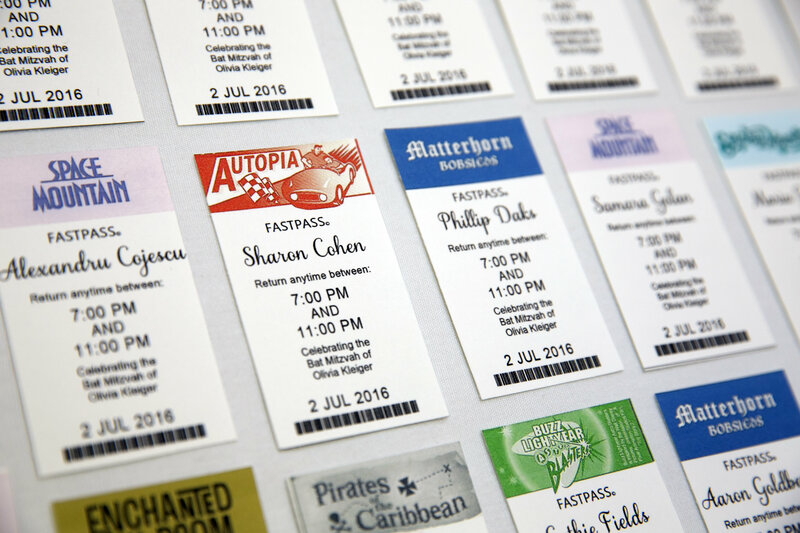 We love how they included the guest’s name, what table (or ride) they would be sitting at, and the time to return (A.K.A. the hours between which the reception would take place). 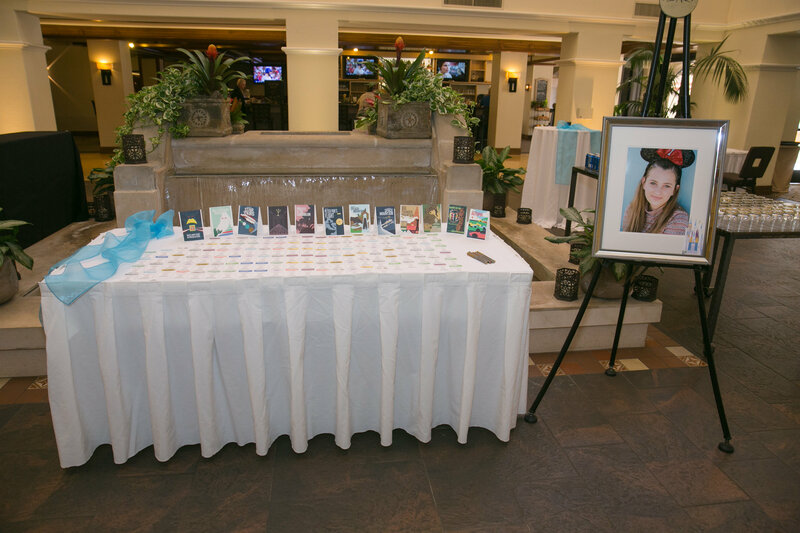 In addition to taking all of the photos on this blog post (and many more from this event), Karen Ard Photography had a special photo shoot with Olivia prior to the event. This charming photo was chosen for her sign in board. It could not be more perfect! 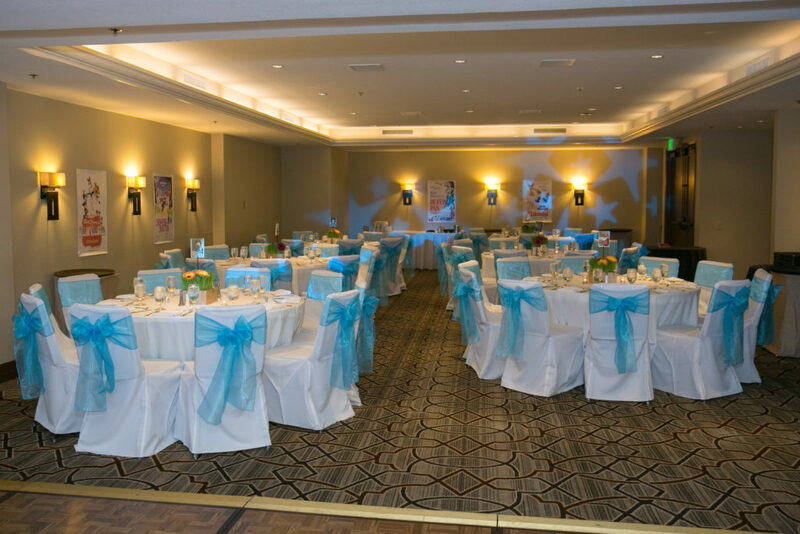 So many details in this space made it extra special … the bright turquoise bows, the projected stars in the same color, and other Disney decor here and there. 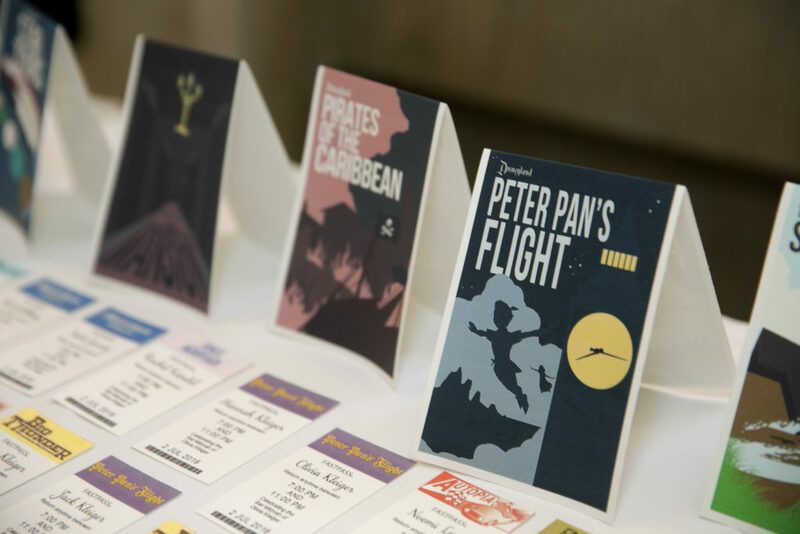 Vintage inspired signs and posters brought the decor to a whole new level. These flower arrangements made by Kayla of House of Magnolias (of course) were the true show stoppers! 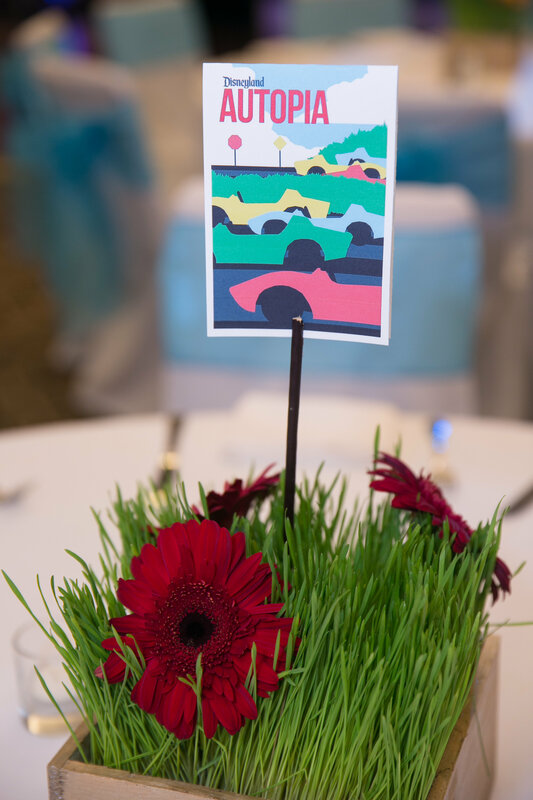 We love how they resemble Disneyland’s manicured lawns and bright flowers everywhere. 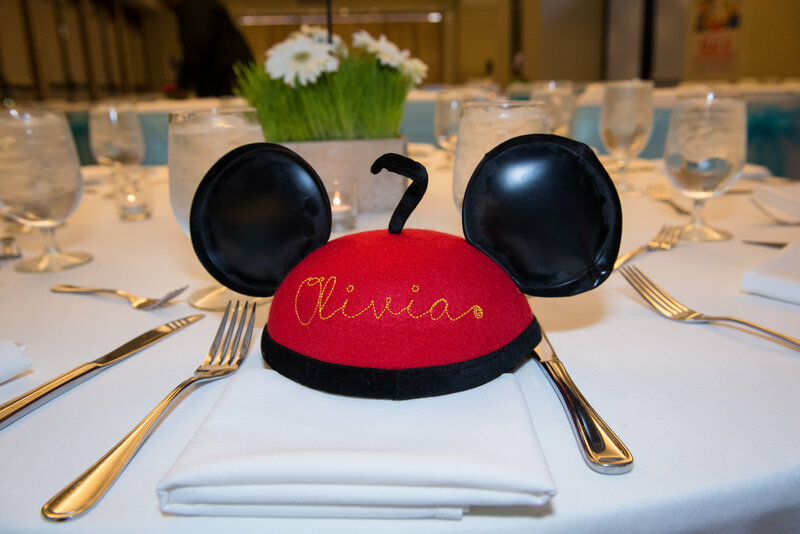 These famous ears were displayed at the seat of the guest of honor! All of Olivia’s friends were encouraged to grab a prop and snap a Polaroid in our fun photo booth. Can you believe how perfect this candelabra is? 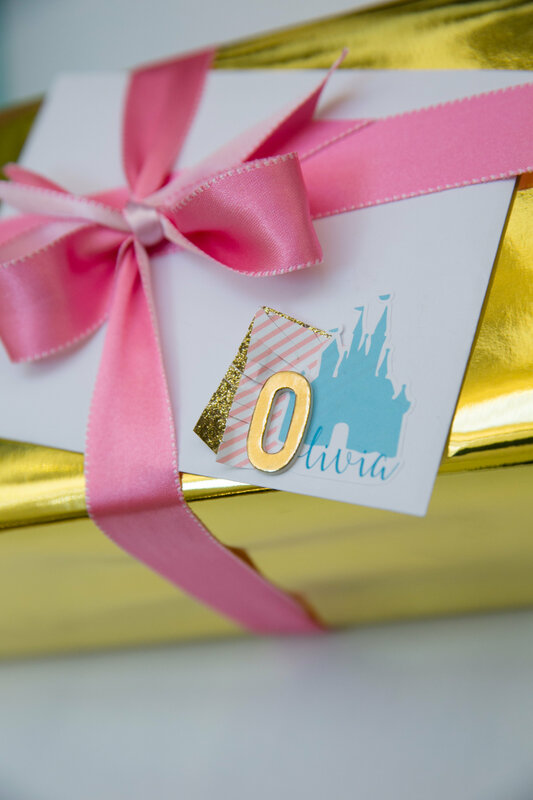 Sparkle, Olivia’s favorite color, and a Disney font … true perfection! Kettle corn, cake, and larger than life lollipops made for a nice display and an awesome treat at the end of the night. 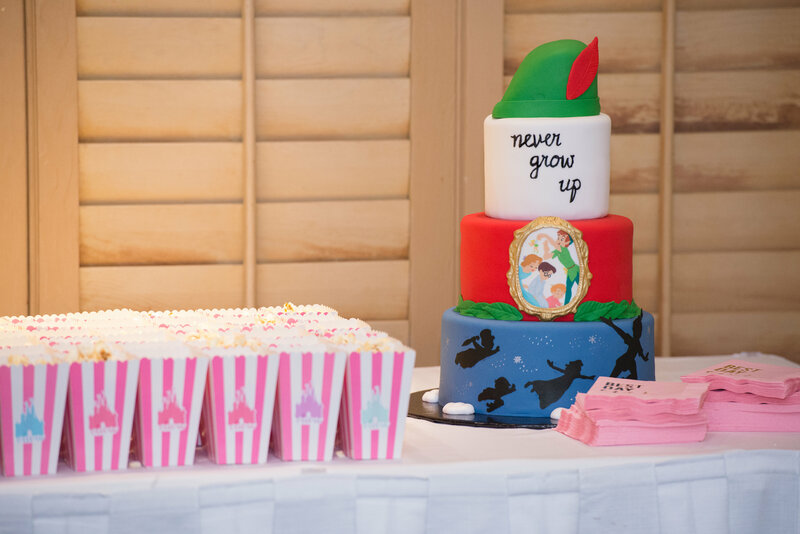 This Peter Pan themed cake made by Auntie Mia’s Cakes was beyond spectacular! 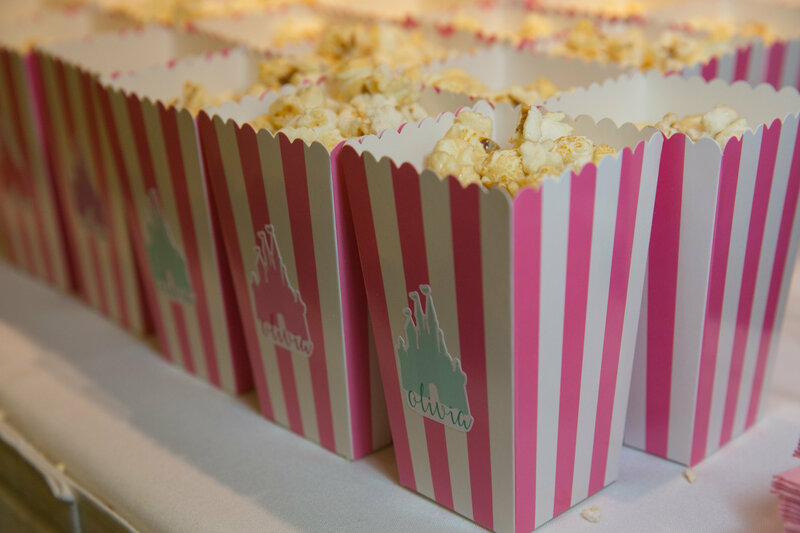 We ordered these custom Olivia stickers from Etsy to put a personal spin on these adorable mini popcorn boxes. 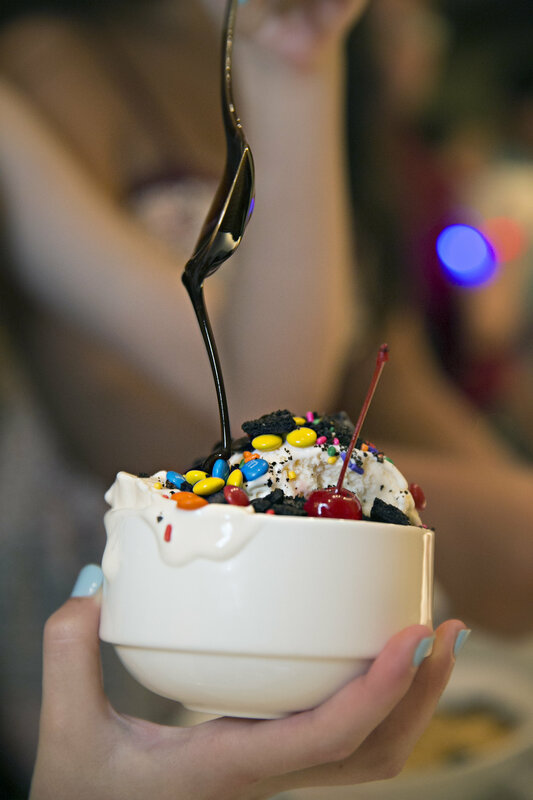 The ice cream sundae bar was truly the cherry on top! Congratulations again to Olivia on becoming a Bat Mitzvah! Thank you for allowing us to take part in your big day. In the end, we are so happy with how everything worked out and hope you have all enjoyed seeing the details.